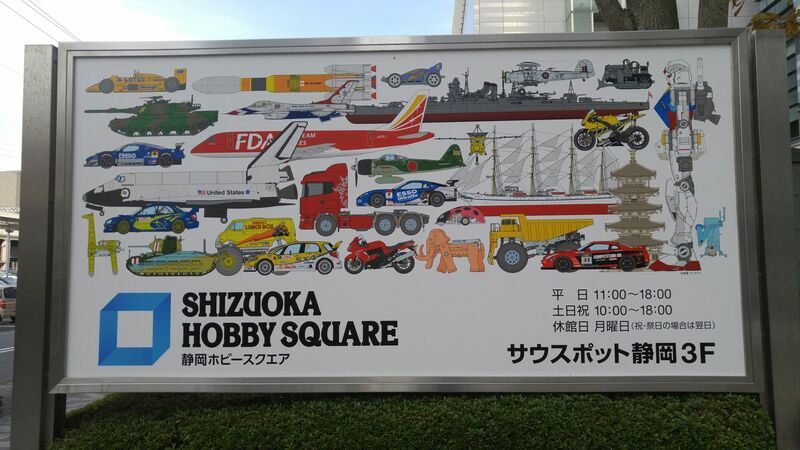 The Big board introducing the Shizuoka Hobby Square with some of its major models! Plastic models, from miniatures to figurines and modeling tools, made in Japan have been famous all over the world for countless years and such names as Tamiya, Hasegawa, Bandai are household names at all major events and fan discussions from Great Britain to China, but do many aficionados know that most companies are all based in one single city? Shizuoka City located halfway between Tokyo and Nagoya, about 80 minutes from the Capital of Japan by Shinkansen bullet train and is famous all over japan for Munt Fuji, green tea and wasabi. A city of nearly 800,000 souls it ships no less than 88% of all plastic models manufactured in Japan! No less than 10 companies are based there either historically, such as Tamiya and Hasegawa or by choice like Bandai which moved from Tokyo for better exposure. Jiro Aoshima and his family back in 1924! Shizuoka City, with its abundant forest resources has always had a thriving wood and bamboo industry back more than 200 years ago. 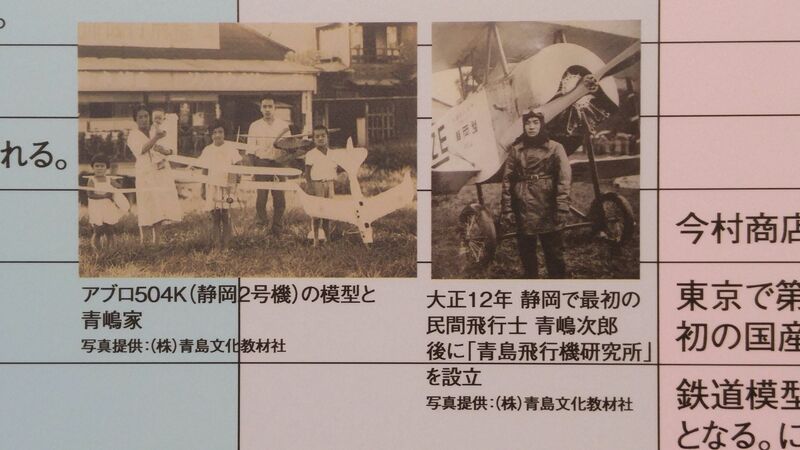 Jiro Aoshima, the first man to build and fly a civil airplane in Shizuoka City and consequently in Japan, established the Aoshima Flight Research Institute in 1924 (the predecessor of the current Aoshima Bunka Kyozai Co., Ltd.). 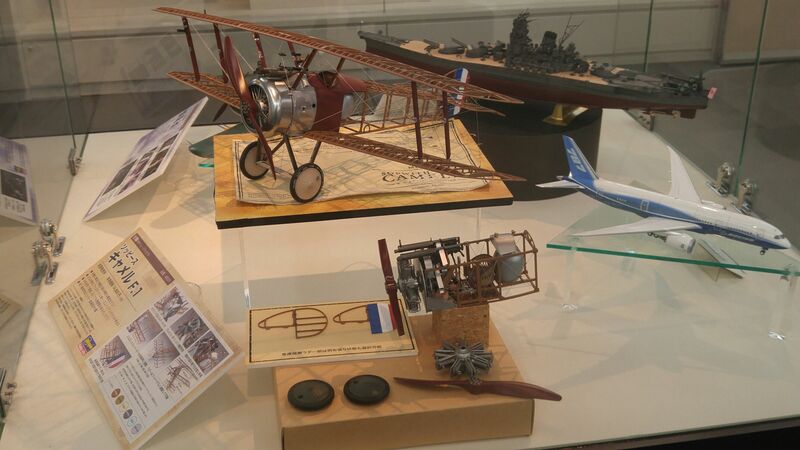 The manufacturing of wooden model airplanes started in 1932, and was the first step toward Shizuoka City becoming the plastic model capital of the World. 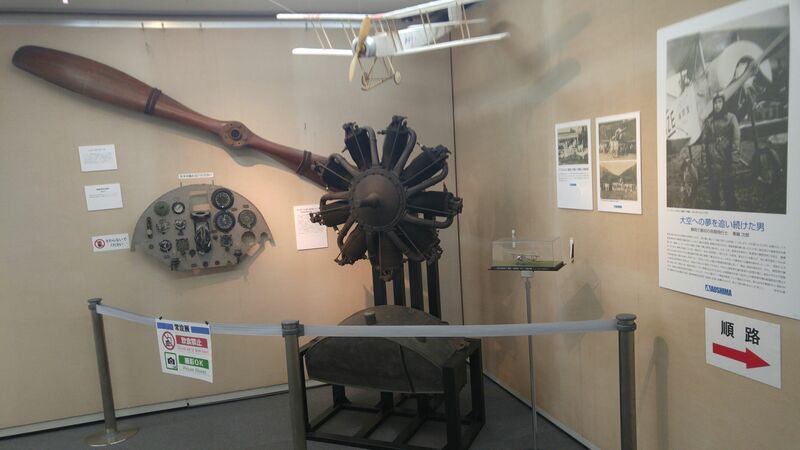 Salvaged parts of Jiro Aoshima’s first airplane are still exhibited inside Shizuoka Hobby Square! Models created by artists working full-time in house at Tamiya inc.! When foreign plastic models started being imported in the late 1950’s, the model trend shifted from wooden to plastic. This created a big impact on the manufacturing process. The know-how for making moulds and handling plastic resin, along with more money and human resources, suddenly became necessary. 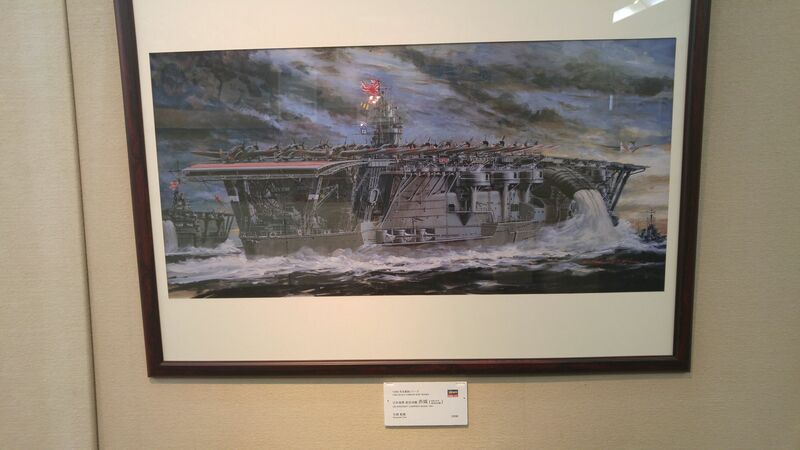 Models not only are faithfully built according to salvaged data but also to incomparable paintings by artists such as the WWII (1941) IJN Aircraft carrier Akagi painted by Noriyoshi Arai before it was re-created by Hasegawa Co., Ltd. Note that the zero fighters on neighboring aircraft carrier are different! The current model manufacturers used skill, passion and dedication to rise up during these turbulent times. To help its major industry the City Government of Shizuoka (Capital of Shizuoka Prefecture) decided a few years ago to invest in the sole entirely tax-funded exhibition hall of its kind in Japan, namely the Shizuoka Hobby Square! It has since become the main focal point for monthly hobby events and special exhibitions reported by national and international media together with the Shizuoka Hobby Show held every year in May at Twin Messe Shizuoka giant hall in Shizuoka City, the largest exhibition of its kind in Japan where famous domestic makers of plastic models, radio-controlled models and railroad models gather under one single roof to announce their new products both for the benefit of professionals and retailers from Japan and all over the world, as well as for the public (admission free!) 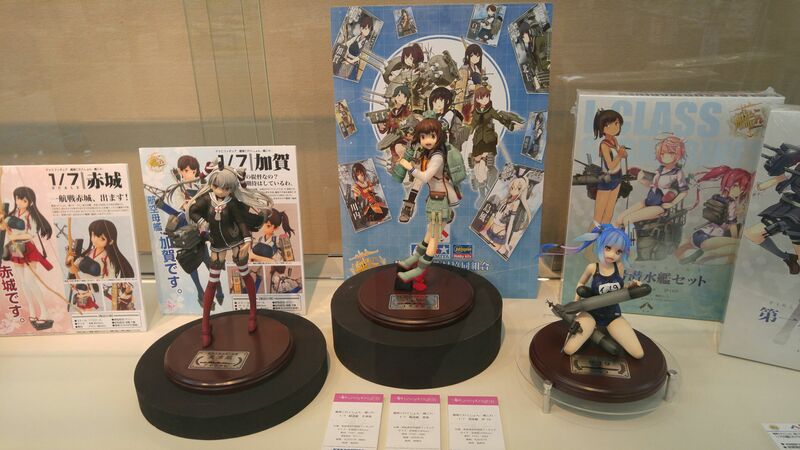 coinciding with more hobby-related events all over the city, notably the Granship Train Festa, Tamiya Open House and the Staff Model exhibition! Famous manga characters and their fighting vessels are ever present such as the Space Battleship Yamato (also called Space Cruiser Yamato) along with spacecraft from the film conceived by producer Yoshinobu Nishizaki in 1973! Shizuoka Hobby Square is conveniently located near the South exit of Shizuoka JR Station on the second floor of a large complex owned by a big insurance company sheltering Hotel Century Shizuoka, Fujitsu Co. and the headquarters of many others. One of the main Gundam characters created by Bandai Hobby Center! A rare boon is that anyone is allowed to take as many photos as he or she wants! 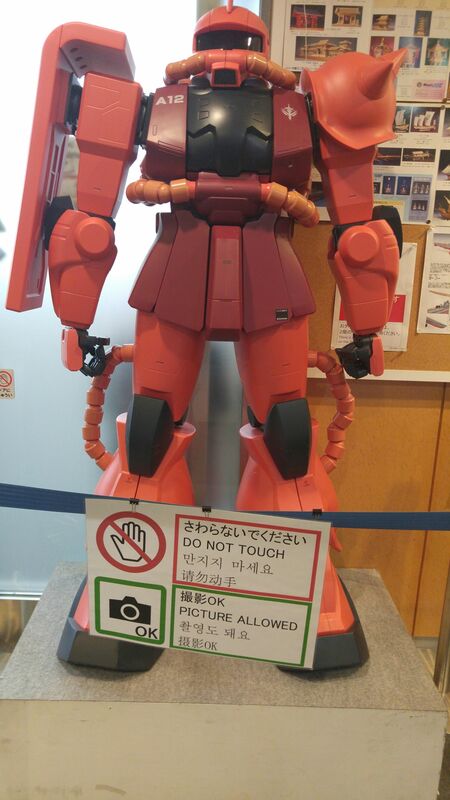 Although you are not allowed to ouch the life-sized plastic model of one of the major Gundam characters! Actually the place is thoroughly kept clean for obvious reasons and food and drinks, although allowed before the entrance, are prohibited once inside the exhibition rooms! Companies will make a point to exhibit all new creations! The real Harley-Davidson and Honda motorbikes! The top brand in the plastic model. It also has a major shop in Le Mans, France, and has held a yearly show in Nuremberg, Germany, for the last 25 years. Boasts a huge variety of products, from display-purpose scale models such as cars, motorcycles, airplanes, ships and military vehicles, to models you can enjoy racing such as RC cars and Mini 4WD, as well as DIY models, tools and paint backed up by many manuals and specialized books. 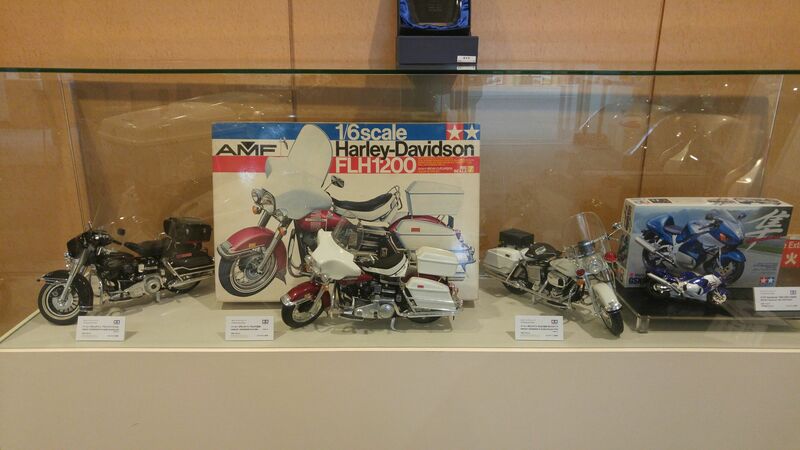 The Harley-Davidson and Honda motorbikes models by Tamiya Inc.! 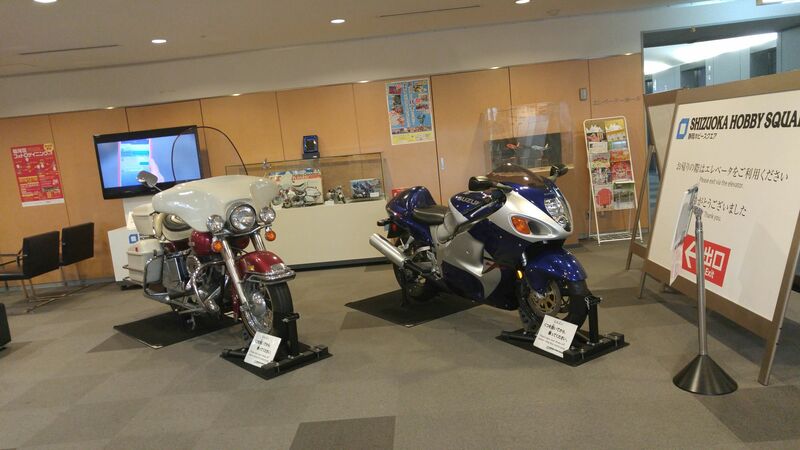 The owners of Tamiya Inc. and Honda Co. who have shared the same history and a long friendship in Shizuoka Prefecture (which also hosts such companies as Suzuki, Yamaha, and Koito) have the original particularity of producing both the full-scale motorcycle and its plastic model at exactly the same date! 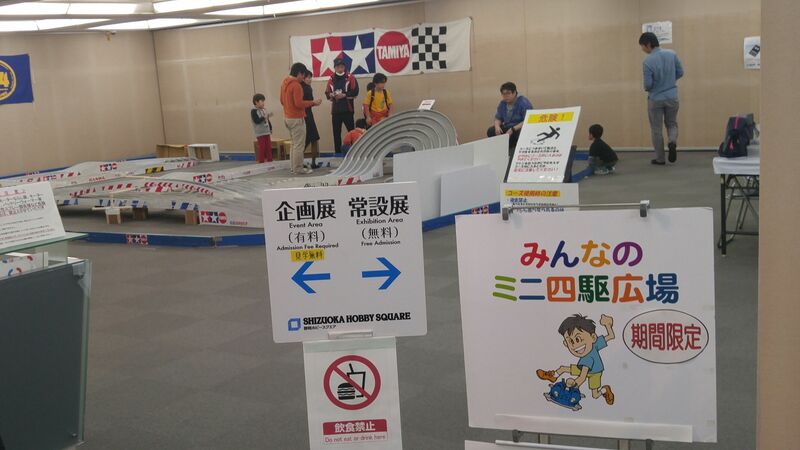 Tamiya Inc.’s activity room for all ages! 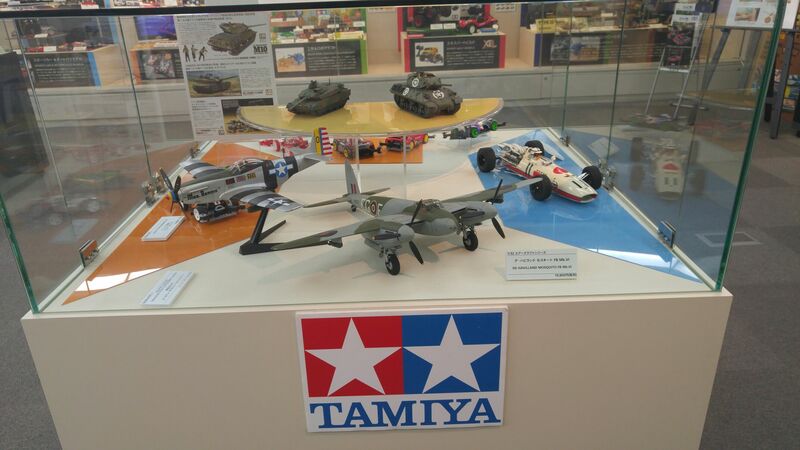 Tamiya Inc. not only also has its own tools, paints and kits shop inside the Square but also a workshop where fans can build their own models and a circuit (for a very small fee) where customers can compete with their own model cars all day long! Ever popular girlie manga characters by Aoshima Bunka Kyozai Co., Ltd.! Aoshima Buka Kyozai Co., Ltd. Established by Jiro Aoshima, Shizuoka City’s first private plane pilot. 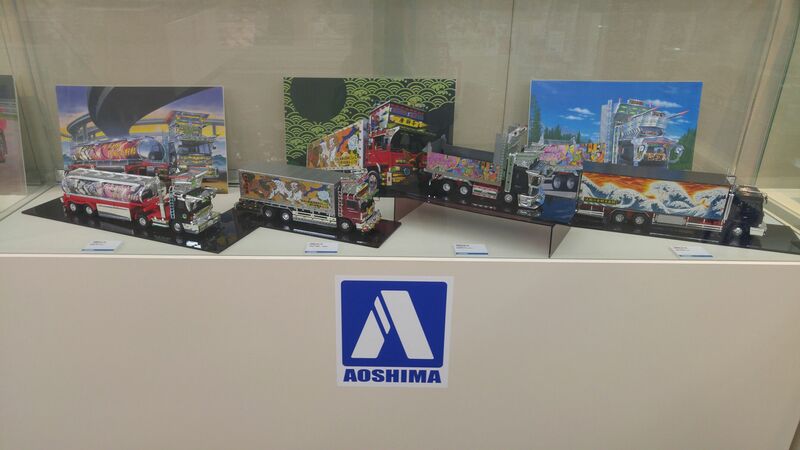 Primarily focused on making models children can play with, Aoshima produces innovative products including scale models, character/figurine models and school science class models. : Airplanes of all eras from all over the world by Hasegawa Co., Ltd.! Founded in 1941 it began production of cypress rods and rubber-powered light planes the same year. Started manufacturing plastic models in 1961. Since most of its products were model panes, fans all over the World came to call it “Hasegawa: Number one for planes”! Bandai’s array of Gundam and space fighting characters is almost unending! Originally based in Tokyo it moved a few years ago to Shizuoka City. 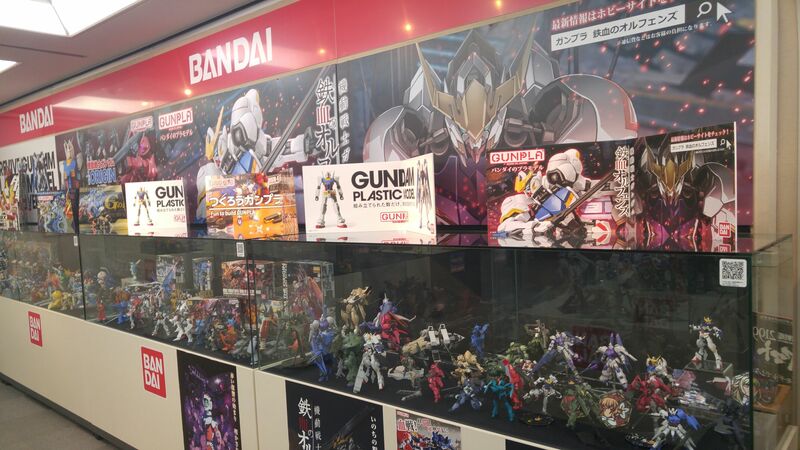 The production base for plastic models of science fiction manga such as Gundam of Gundam Mobile Suit, a televised anime series produced and animated by Sunrise since 1979 , Bandai prides itself in having gathered the latest technology and skills for making plastic models. Aiming to create plastic models that anyone can enjoy, Bandai continues to evolve and spread its message to the world. 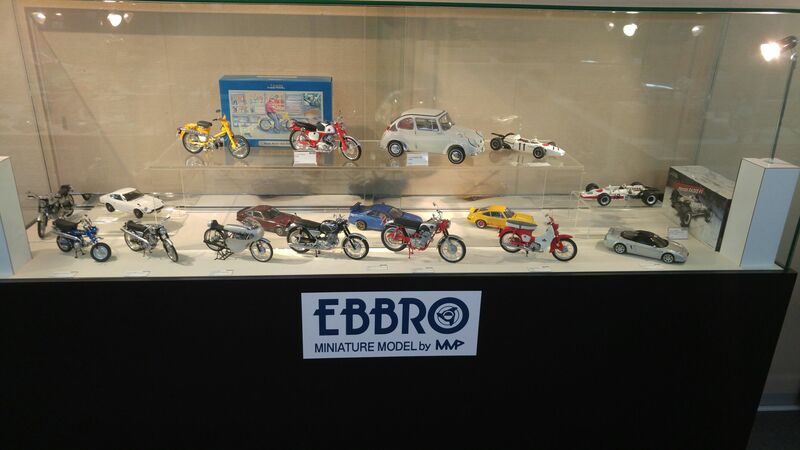 Ebbro’s very minute car and motorbike models which have parents and children fighting over their possession! Focusing on domestic made-made and racing vehicles, Ebbro produces intricate toy cars. The details replicated at 1/43 scale are the coolest part of Ebbro’s cars. Some plastic models of F-1 racers and European cars have been developed. Ebbro’s toy cars are fun and even more enjoyable to collect. 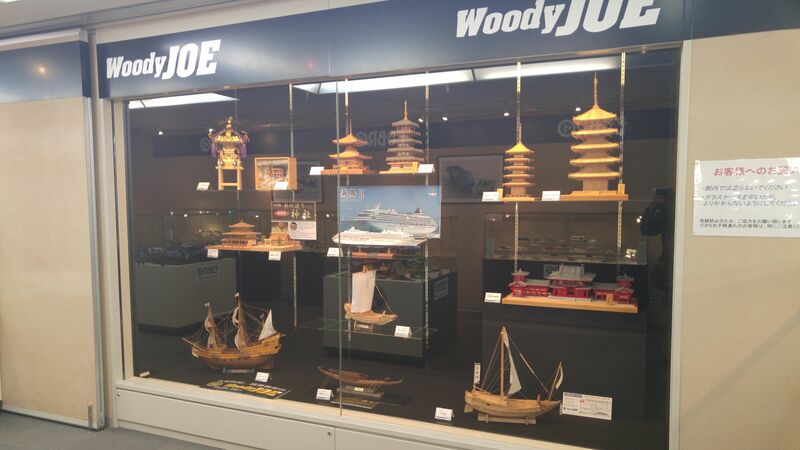 WoodyJoe Co., Ltd. Not only creates ships of all eras from all over the World but also exquisite renditions of historic buildings and Japanese abodes! The only wooden sailing ship model kit manufacturer in Japan. Other than sailboats, they also offer precise wooden replicas of historical buildings, European and Japanese. You can take time to experience the “joy of creating”, while feeling the warmth of nature at your fingertips. 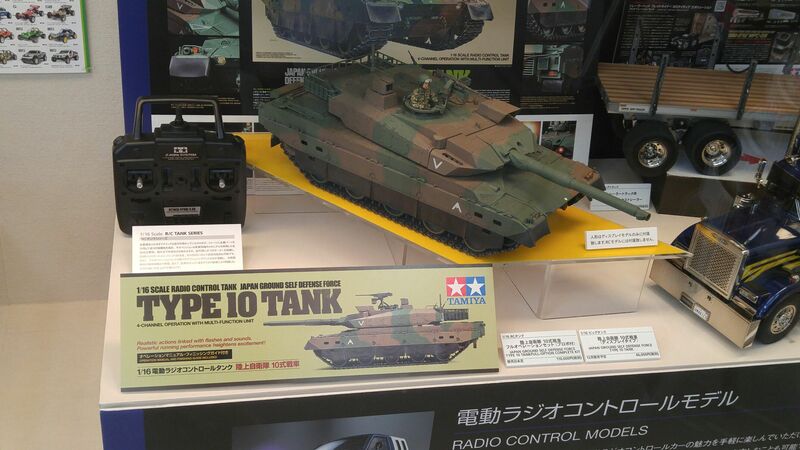 For the true model maniacs: Tamiya Inc.’s Type 10 Tank is not only fully remote-controlled but also features sound and light with a gun turret keeping still on target while the whole body moves under! -Platz ltd. 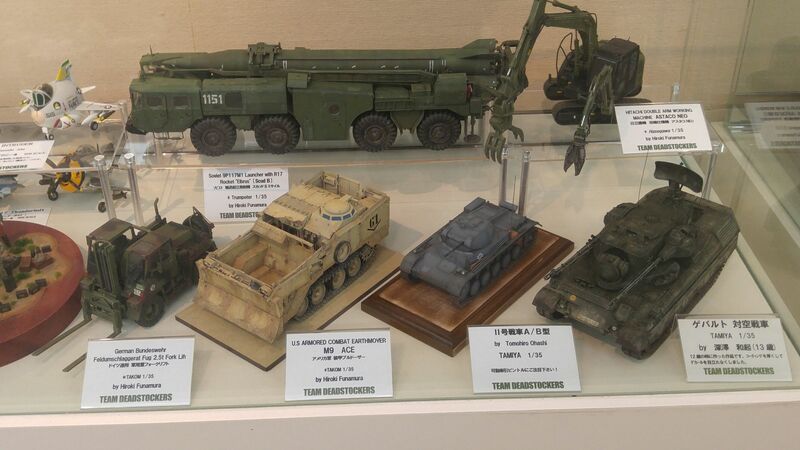 In addition to manufacturing and selling its own products (plastic models, decals, etched parts, etc. ), it is also an authorized import agent, selling products from world-famous plastic model makers (airplanes, tanks, figures, etc.). -Asuka Model Ltd. From advanced military kits to beginners’ kits, Asuka develops products for every level. “Puramozaru” can be easily made by children 6-and-up, so are recommended to beginners. -SWEET. Specializes in cute palm-sized airplane plastic models (1/144 scale). The boxes and assembly productions include characters designed by Shizuoka cartoonist Yukihisa Fujita and are popular with modelers of all ages. Shimomura Alec Co., Ltd. 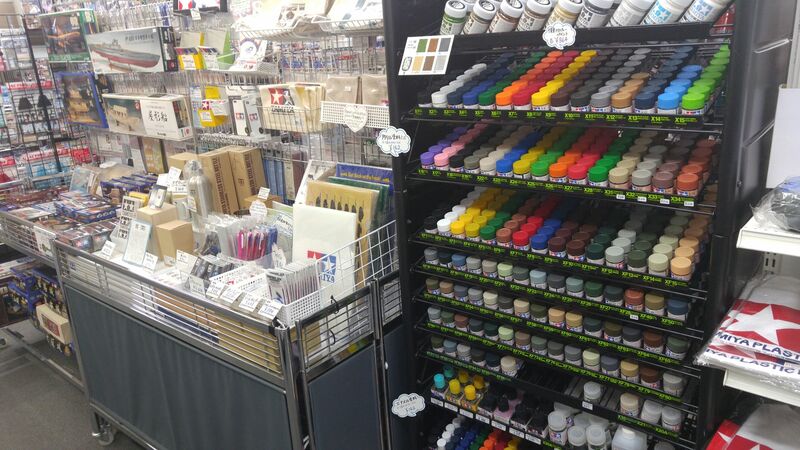 The only company in Shizuoka that develops and sells detailed hand tools for making models. They aim to make tools that can reach difficult areas like none other, such as the world’s thinnest handsaw. Several of their products have been certified as Shizuoka Prefecture product innovations. A small view of the Tamiya Inc.‘s special tools and accessories shop! Now Shizuoka Hobby Square is not only an exhibition hall for six of the model manufacturing companies based in Shizuoka, but also as mentioned before a place where you can buy kits, tools, paints and what more to create superb models and also a place where you can acquire books and information about the models you plan to build to help you achieve the most faithful models possible. 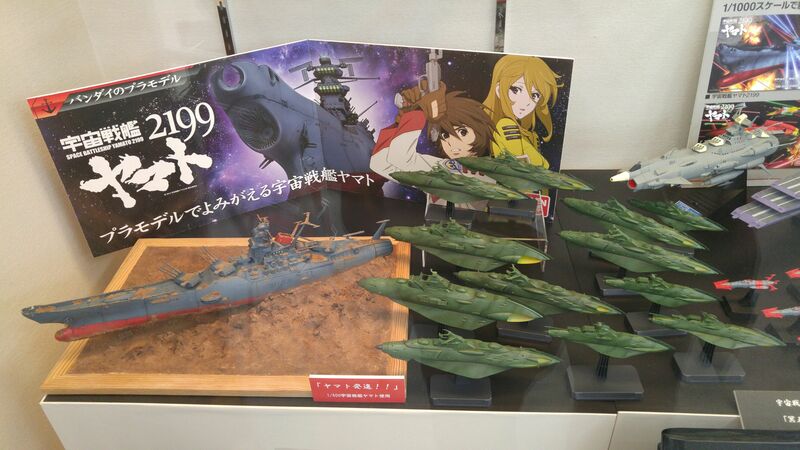 Creations by Yofukashi modelers Club in Fuji City, Shizuoka Prefecture! It moreover has the particularity to introduce amateur model hobbyists who have their award-winning models exhibited permanently with their names and history and a description of their creations. 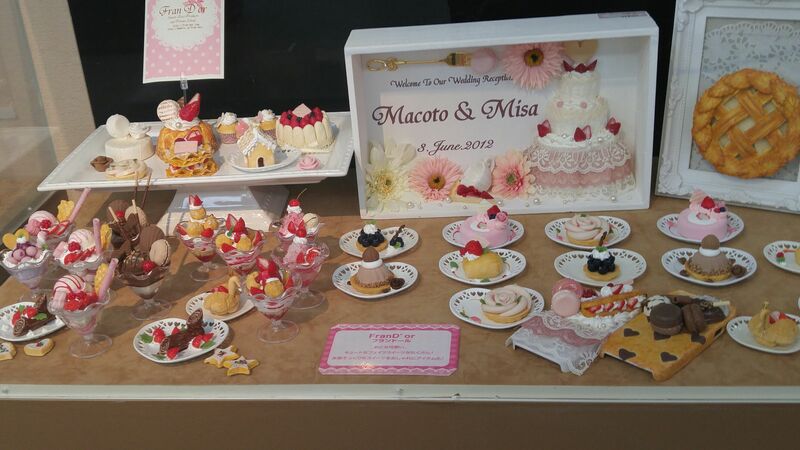 A small sample of Tamiya Inc.’s cake models! Ladies and girls will also find their favorite subjects not only with figurines but also cake and confectionery plastic models and even regular classes! They have their own event the second week-end of December in the whole hall! Yes! 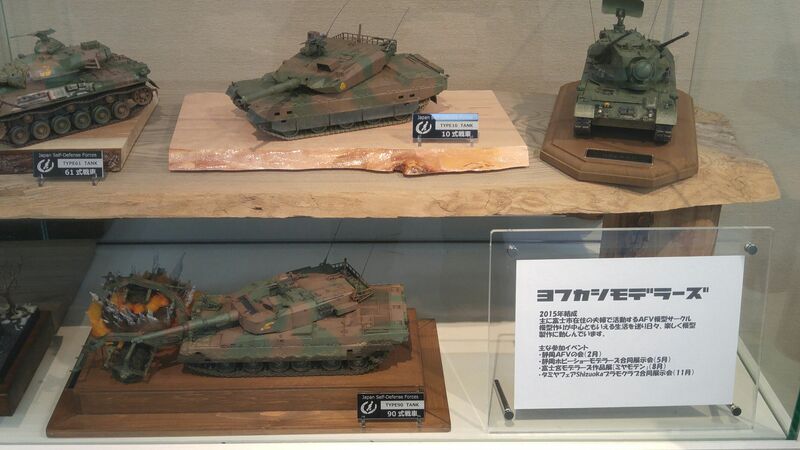 These pristine wooden tanks created ages ago by Tamiya Inc. are still fully operable! History also holds an important role without which true model fans would not get full satisfaction. 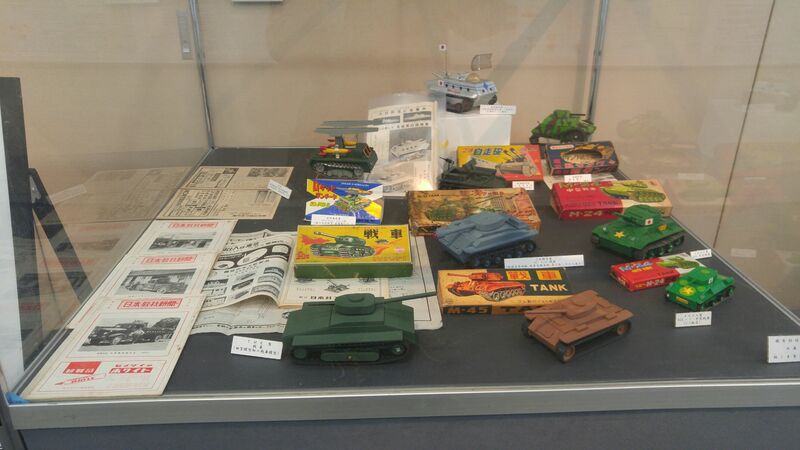 For example rare models first created by Tamiya with wood and gum of army tanks which still can move with the help of their own batteries are permanently exhibited. 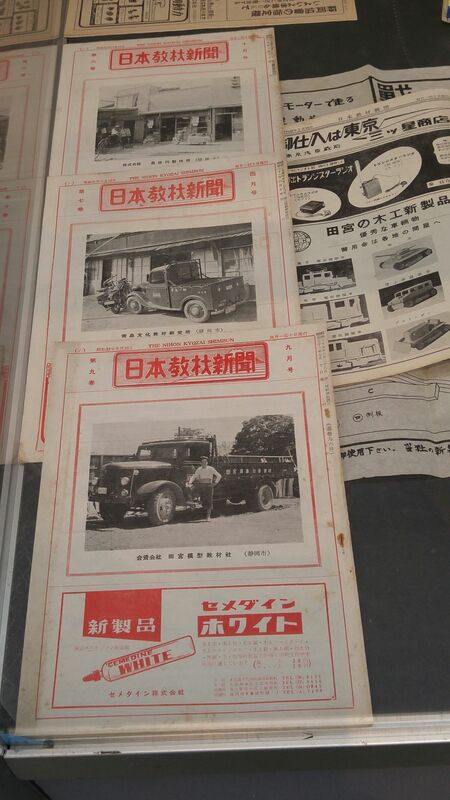 Rare copies of old Japanese model/miniature hobby magazines can be admired in a pristine condition! 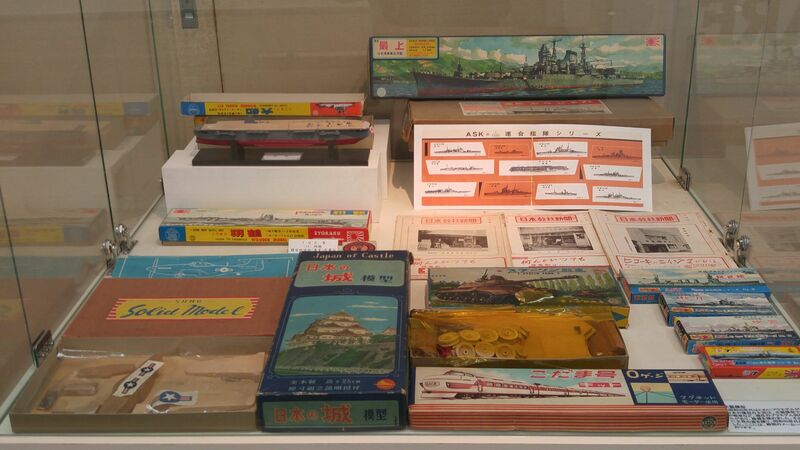 For the true aficionados’ information: very rare old models and their original boxes belonging to private owners are also on display! Mr. Kimiyuki Yamada will always be found busy making his own models! A French Citroen 2CV in this case! 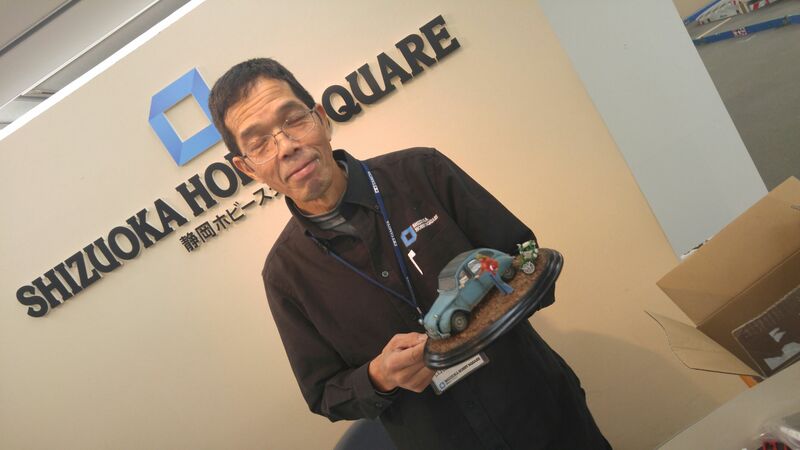 Foreign visitors should not worry about the barrier language as staff with a reasonable knowledge of English will be on hand such as Mr. Kimiyuki Yamada who is a retired former employee of Tamiya Inc. but still works there as a part-timer out of sheer passion for his work and hobby! Now, like any exhibition halls there are some items worth looking for as they are not only exquisite in concept and details, but because they also help you make discoveries that will become the icing on the cake of your visit! 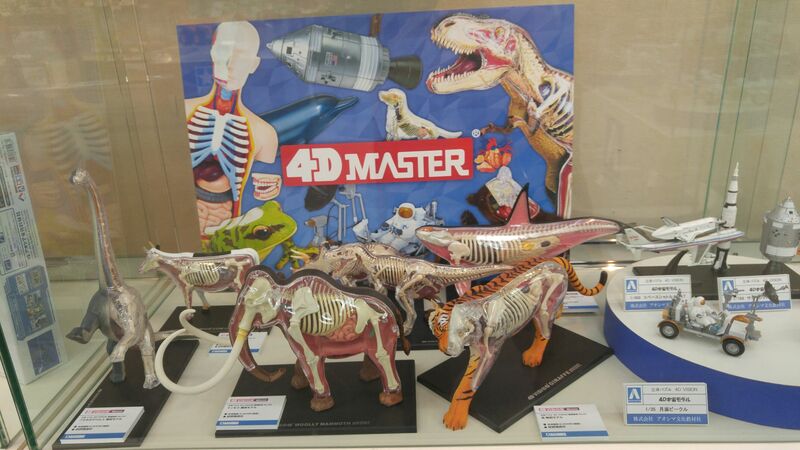 Models to help the classes with a fun study of anatomy by Aoshima Bunka Kyozai Co., Ltd.! 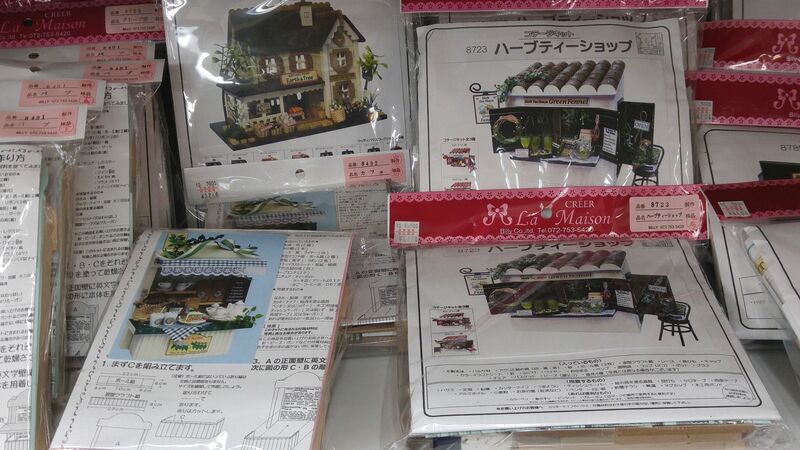 Tamiya Inc. helps you reproduce traditional Japanese shops and food stalls to add to your Japanese landscape! A cute little souvenirs for your kids (and the young at age) back home! The highly decorated trucks were much the rage in the 60’s and 70’s in Japan and their models are a reminder of the movies in vogue then with their rogue heroes and vehicles! 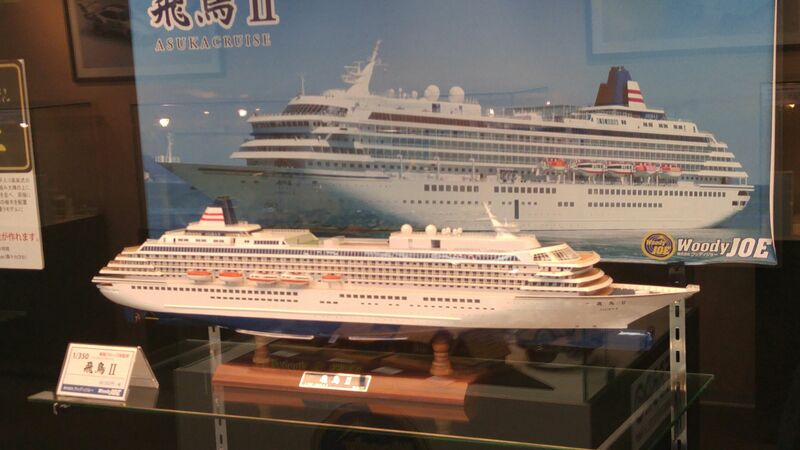 The most famous Japanese cruise ship, the Asuka II by WoodyJOE Co., Ltd.! 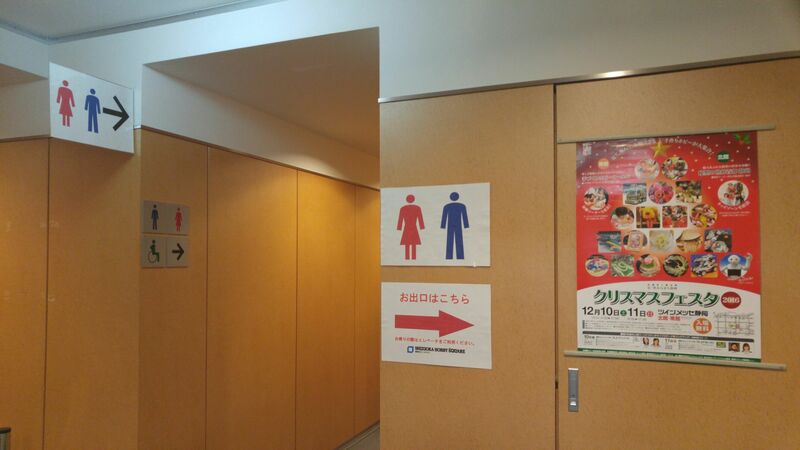 An important detail that everyone consciously to mention is that to welcome visitors for as long as they want, the hall is equipped with modern washrooms not only for both genders, but also for wheel chair users!